South London Makerspace are proud to be official hosts for the Worldwide Arduino Day 2017! We’re back again this year to celebrate Arduino Day and all types of DIY electronics projects. We’re partnering up with our friends at London Open Hardware to bring you a great weekend of events. Weekend? But it’s called Arduino Day? Yes, we’ve decided to continue the Arduino goodness over into Sunday too. So: join us for an amazing couple of days with workshops, talks and demos around DIY electronics, Internet of things. Saturday will be out main ‘show and tell’ day with a few short workshop activities. Sunday will be handed over to longer workshops and a hardware jam. Details are below. We are having a fairly informal day so please come along and join in. If you have something to showcase or if you are just getting started and have a pile of bits and you don’t know where to start, bring it with you. Hobbyists, families, artists, engineers, complete beginners, and anyone else who is curious about making and hacking using DIY electronics. help and advice: ‘ask the experts’ sessions. ‘Have a go at soldering’ Workshops. Build a Flashing Robot badge and impress your friends and family..
Hardware Jam: come on down, find some bench space and work on a project! 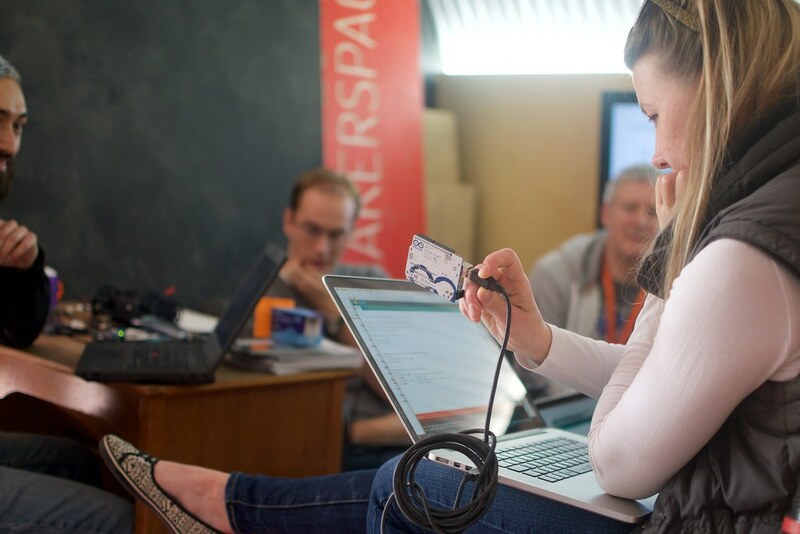 intro to ESP8266 and IOT workshop – limited places! If you have cool toys you’d like to showcase bring them with you! Hope to see you all there! 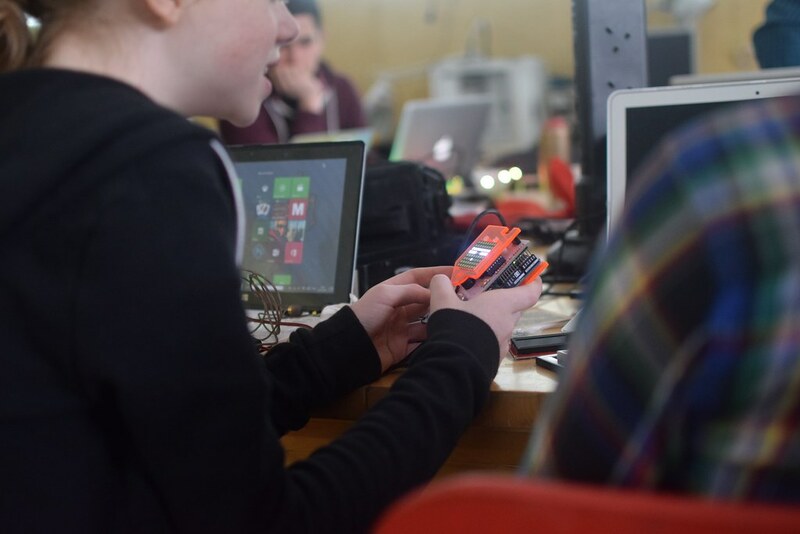 The Saturday workshops are aimed at newcomers who want to take there first steps in getting started with the Arduino, and ‘making things do things’. Families, artists, makers and the generally curious…all ages welcome: younger children might need the assistance of an accompanying adult, and vice-versa! If you want to take part in the workshops please bring your laptop, kits or bits or anything of interest to tinker with..
Who knows? But expect a range of bots, blinking lights, novel solutions to mundane problems, and some real world applications of Arduino tech. Also a full range of the unexpected…the last event closed with an impromptu electronic musical performace!